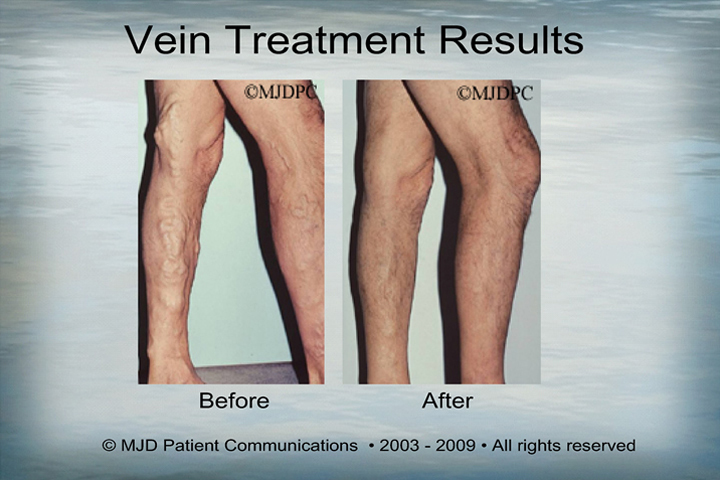 Varicose Vein Treatments | Alan Kling, M.D. 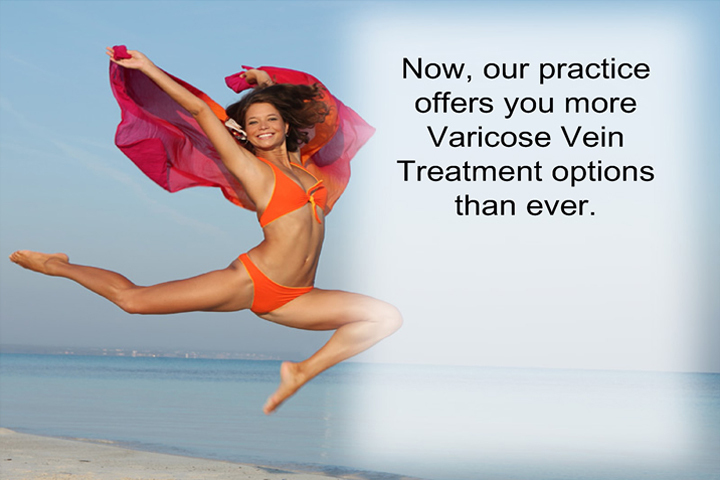 Varicose veins are a very common issue amongst both men and women. Dr. Kling has spent many years treating varicose veins, giving patients all over New York City options to remove unwanted veins. 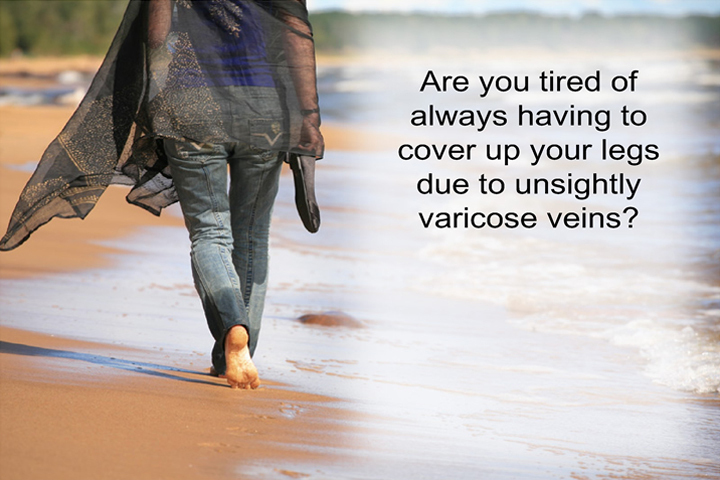 Varicose veins are protruding veins, most commonly found on the legs and arms. They are generally a deep blue color, and in the most severe cases cause lacerations and bleeding. Varicose veins are caused by a number of factors, most commonly, age and poor circulation are the leading reasons for their presence. 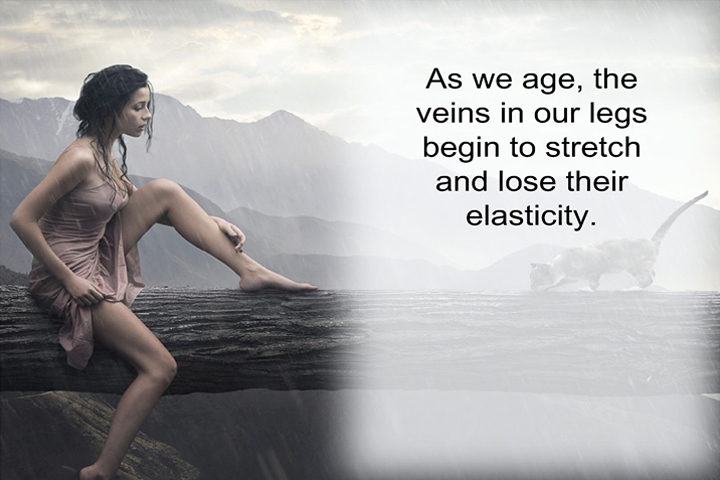 As we age, the veins in our legs “sag” losing their once elastic consistency. These veins begin to lose their function, causing clogs and preventing blood from properly circulating. 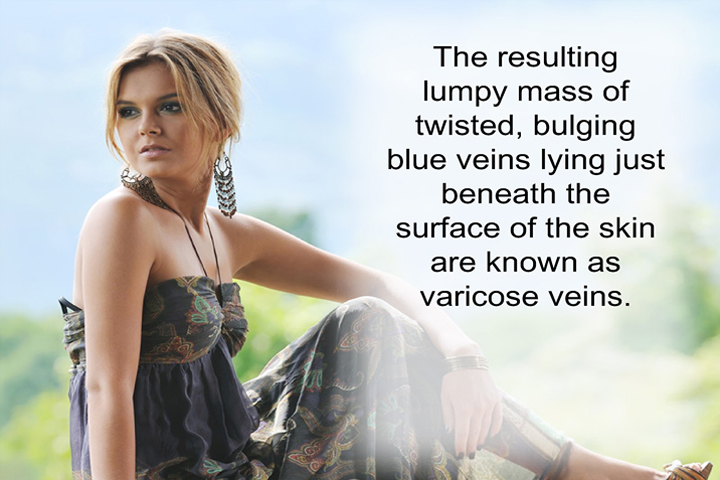 As the blood clogs, it begins to pool up in the weakened veins, resulting in lumpy blue masses within the veins, protruding through the skins surface. Avoid sitting or standing for long period, without needed breaks. And try to keep legs raised while sleeping, avoid crossing feet while laying down or sitting. Improve circulation with physical activity and exercise. Try to lose weight. Varicose veins are far more likely in those who are obese or overweight. Women should avoid high heels for long periods of time. Improve lower body muscle tone, this helps in the circulation of your lower extremities. In addition to lifestyle changes patients should also seek any number of available treatment options. Surgery: surgery can be done to open up poorly functioning veins, and eliminate the clogging. 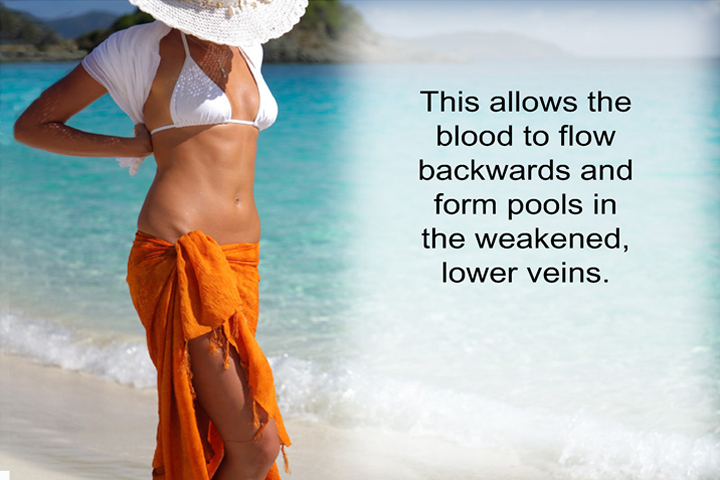 This will improve the blood flow and allows the veins to return to their once functioning state. Sclerotherapy: This procedure uses a liquid chemical to close off a varicose vein. 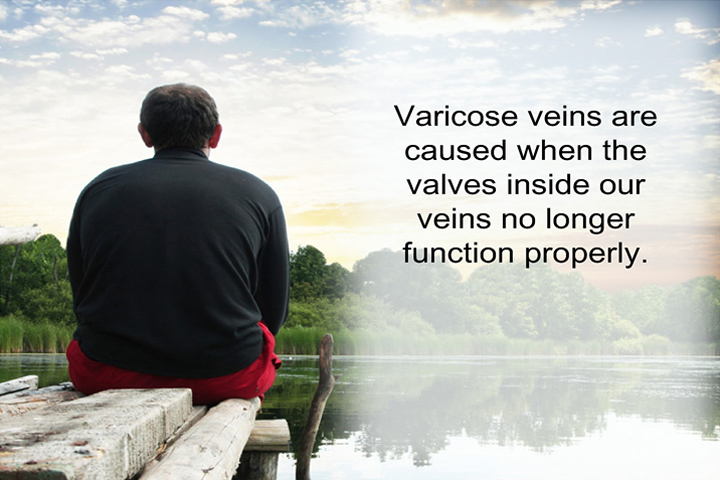 It is directly injected into the vein, causing irritations and scarring within the walls of the vein, causing the vein to close off and shrink, eventually fading away. 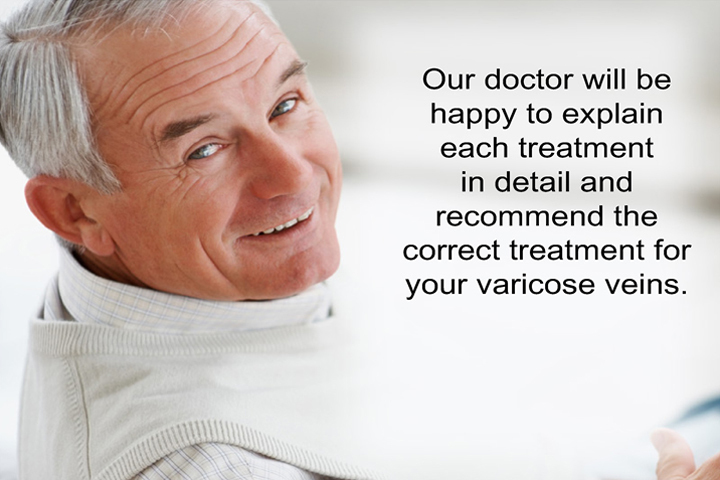 Several treatments may be necessary to completely close off a vein, and it is generally only recommended for smaller veins, as the remaining larger veins can “pick up the slack” in its absence. 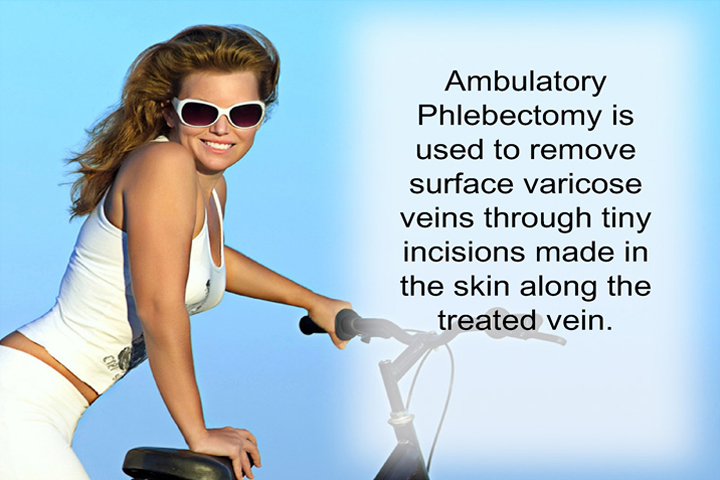 Ambulatory Phlebectomy: A surgical method to remove the surface veins through an incision made into the skin. The procedure is generally done in conjunction with sclerotherapy, as you must first shut the vein down then remove it using this procedure. Laser surgery: A number of laser procedures are available. Dr. Kling will recommend the one most effective for your specific condition. 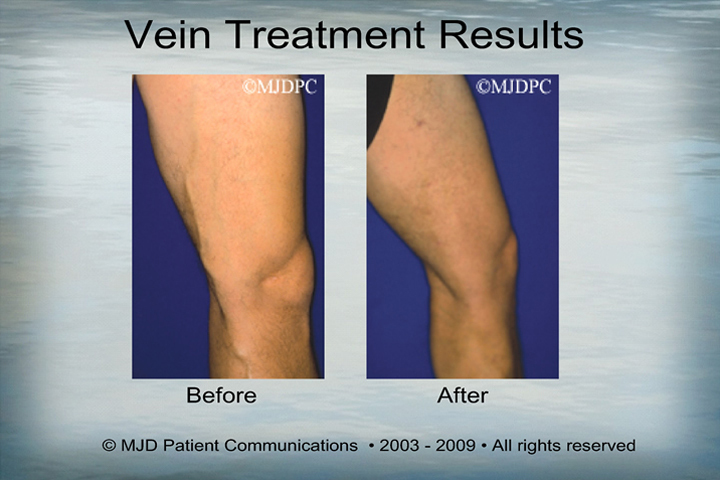 Using a thin fiber optic laser, the vein is penetrated and laser pulses are sent directly into the vein. This causes the vein emptied, relieving the vein of the blockage and the fiber optic laser is removed. 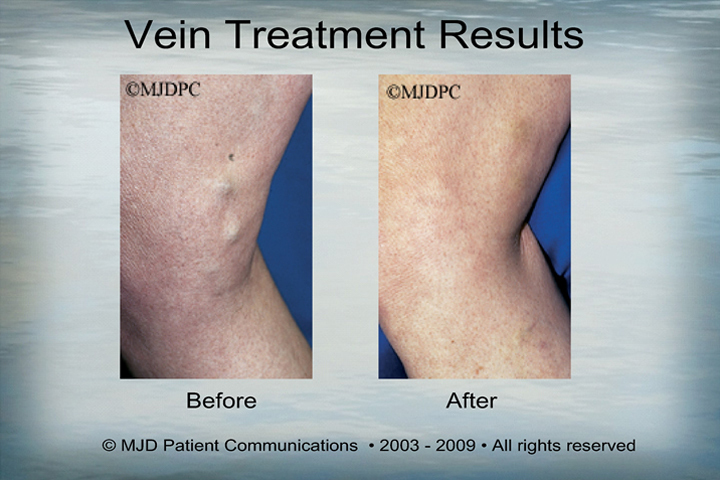 On its way out the laser has the ability to close up the incision made into the vein sealing it and allowing the vein to function as normal within a few days. 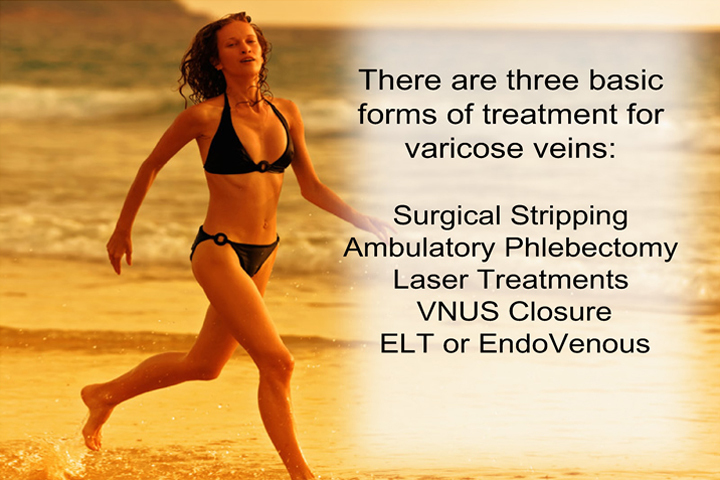 VNUS Closure: A minimally-invasive procedure to strip away a vein, without the use of surgery. 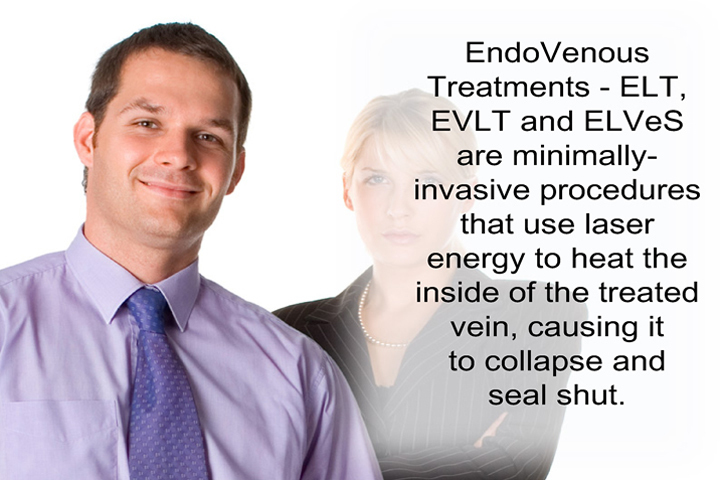 Using radio frequencies Dr. Kling will heat the inside of the vein, causing it collapse and seal shut. A tiny catheter is inserted into the varicose vein, then the RF energy is delivered into the veins walls. Most patients can return to normal daily activities immediately after this procedure, however they must avoid vigorous exercise and wear special compression stockings (to aid in circulation) for the first 3 to 4 weeks following surgery. Dr. Kling will work with you to decide on which treatment plan is right for you, as all of them have different associated side effects and different success rates in different people. Despite that, you can expect to see a tremendous different after treatment, with most patients seeing immediate results!